Adrien Broner still couldn't believed about the Saturday night fight (Sunday, Manila time) that he was defeated by the 40-year-old Manny Pacquiao. 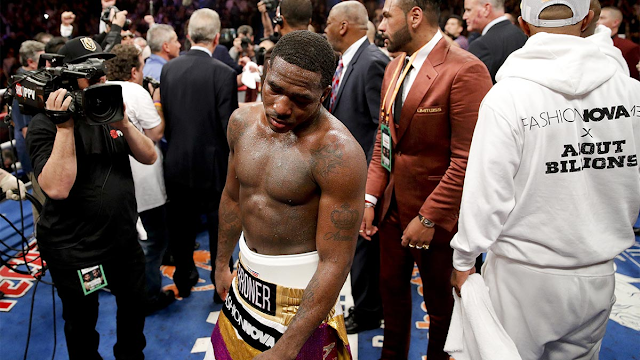 Broner insisted he won his 12-round battle, saying he did well by controlling the fight 'I beat him, everybody out there knows I beat him," Broner explained. There were no knockdowns, but Pacquiao has landed more clear and heavier punches. Broner made the statement despite people's clamored over defensive strategy used throughout the fight. Pacquiao caught him in the seventh and ninth rounds with big left hands that sent him back to the ropes. "At the age of 40 I can still give my best," Pacquiao said. "Although I wanted to be aggressive more, my camp told me don't be careless and to counter him and wait for opportunities," he added. Pacquiao finishes the play with lots of combinations and was effective in cutting Broner's counter punch. According to the punch stats recorded, Pacquiao landed a total hit of 112 of the 568 total blows, while Broner throws a total of 298 blows however, it landed only 50.